Dr. Josh Cole of Back and Neck Specialists. I come from a family of chiropractors. My first adjustment took place 45 minutes after I was born! My great uncle was the first chiropractor in the family, followed by my father, Dr. Larry Cole, and his twin brother. I was unsure about my career path after high school and worked at FedEx for 10 years. During that time, I realized I wanted to do something where I could help people and own a business at the same time. My brother had just finished chiropractic college and I saw him get excited about helping others. That is what really drove me to become a chiropractor. 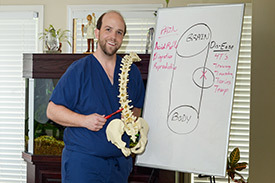 Dr. Josh attended Logan College of Chiropractic in St. Louis, MO. The anatomy courses he took allowed him to understand that every individual is different. He knew that in his practice, he would treat each of his patients as the unique beings that they are. Dr. Josh also received his Master’s degree in Sports Science and Rehabilitation, learning the mechanics involved in sports such as golf, softball, baseball and swimming. He graduated with his Doctor of Chiropractic in 2009. Through a great evaluation Dr. Josh develops the proper care designed to address an athlete’s specific biomechanical needs which in turn makes them perform better. Dr. Josh’s knowledge about the functional aspects of athletics is further complemented by his certification through Professional Sports Care, Titleist Performance Institute and SFMA. Family and friends are important to Dr. Josh. He spends time with his mother and father who live in East Memphis, helping them out when needed. Dr. Josh enjoys any outdoor activities such as golfing, going to the lake, water sports and fishing. You may find him spending time outdoors at Sea Isle Park, Willow Park or Audubon Park. He has a standard poodle he rescued named Tucker. 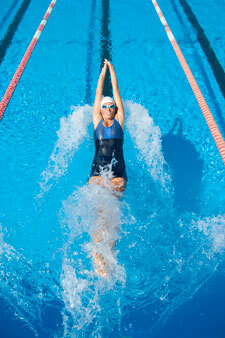 We are ready to assess your health and create a customized plan to help you heal. Contact our office today to start!